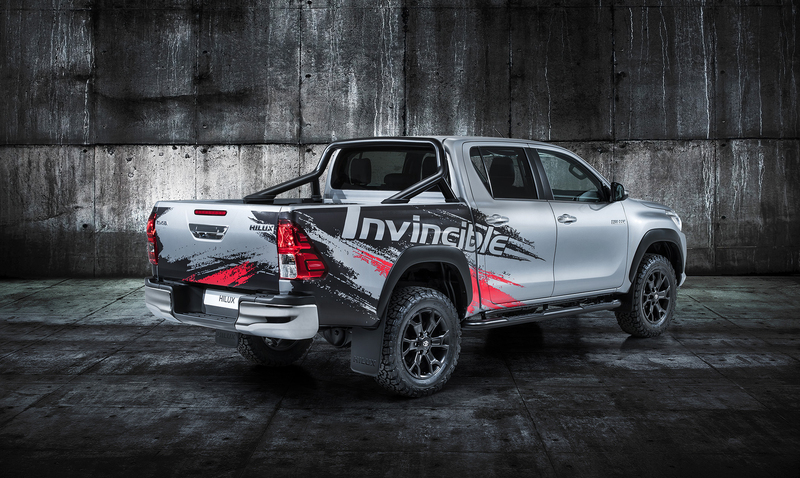 Toyota has revealed a special Hilux Invincible 50 show car at the Frankfurt motor show, in celebration of the model’s dominance in the global pick-up market for the past 50 years. First released in 1968 and introduced in Europe in 1969, the legendary Hilux has become the world’s favourite pick-up, now sold in 180 countries and regions around the world. To date, it has amassed more than 18 million sales. The “invincible” Hilux is renowned for its quality, durability and reliability and has been put to the test in some of the world’s most extreme environments. It has conquered the North Pole, Antarctica and the slopes of Icelandic volcanoes and has toughed it out to claim podium finishes in the Dakar, one of the world’s most challenging rally raid events. 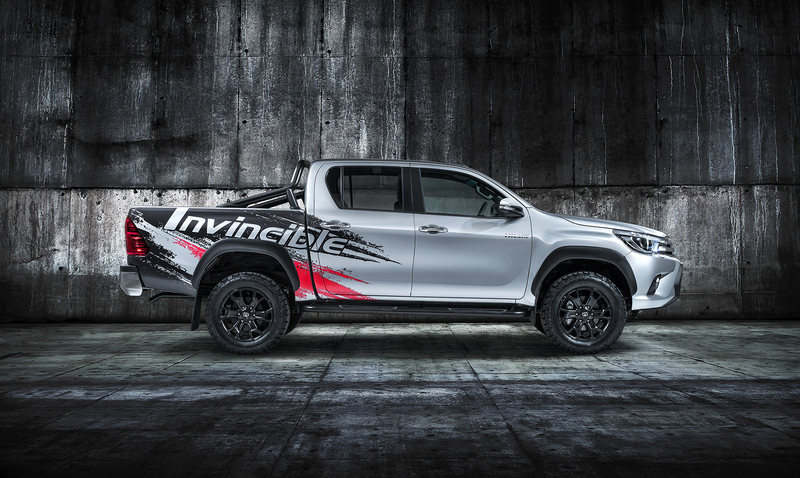 The Hilux Invincible 50 show car, unveiled at the Frankfurt motor show, embraces the growing market preference for dual-use pick-ups, vehicles that serve equally well for work, leisure and day-to-day transport. A range of bespoke accessories signal its status as a special edition model but also demonstrate how Hilux can be equipped for work and play. Externally, the vehicle – a Double Cab model – is fitted with matt black high-over and side bars, a black front under-run and black wheel arch mouldings. The wheels are special 18-inch alloys with a matching matt black finish, shod with robust All Terrain tyres from BF Goodrich, the supplier of race tyres for Toyota’s Hilux and Land Cruiser Dakar rally vehicles. There is also a plastic bed liner and a large tool box. 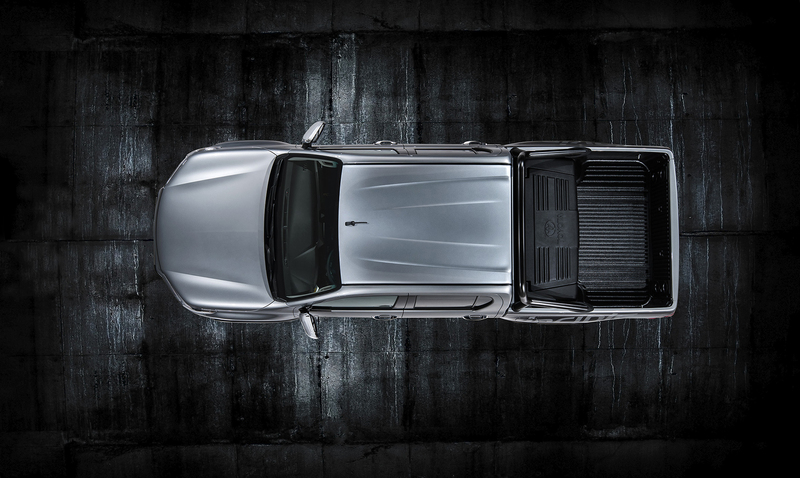 The scuff plates are specific to the Invincible 50 and the cabin features floor mats and a leather handbrake trim. Hilux’s ability to satisfy customer requirements for a growing range of leisure and business uses is reflected in its European sales success: this year the model is on course to set a new record with more than 40,600 units sold, around 500 more than the previous high achieved in 2007. Hi I have just ordered a New Hilux Invincible X – Double Cab will it come with the new rear bumper, the picture on your sales web site does not show the new bumper, but your blog does? Yes it will. 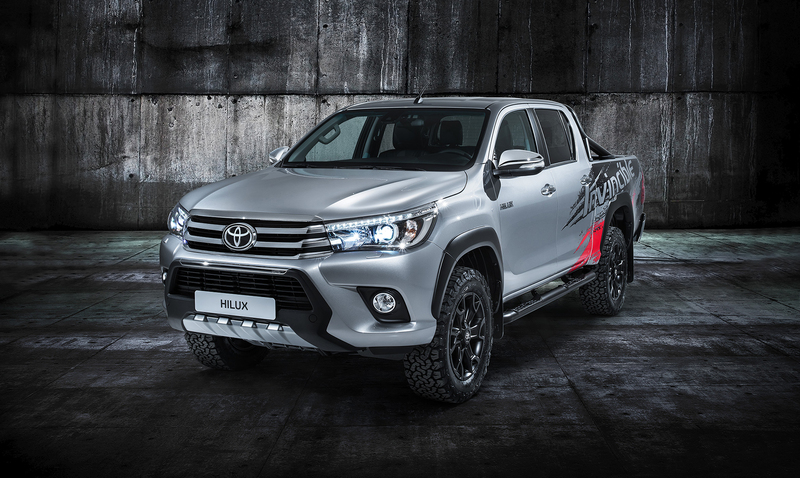 The new Hilux Invincible X includes a new grille with gloss black inserts and contrasting chrome frame, plus a new-look front bumper, fog lights and silver under-run. The styling continues at the rear where there is a new step and a silver under-run beneath the licence plate. Fantastic, the perfect opportunity to equip this with a more powerful engine! !